Are you sick and tired of throwing away money buying technology that becomes obsolete? If so then why not start saving money by taking advantage of the many Taxation benefits that Renting / Leasing office equipment can offer! Copywell Australia offers a wide range of affordable and flexible long and short term leasing or rent to own options which can be tailor made to suit your requirements and budget. 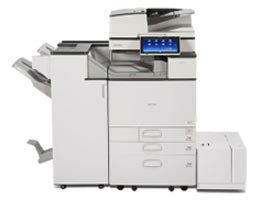 Take advantage of our copier / printer rental plans with a ZERO up front cost? Rent short or long term. Rental prices include all parts, service, supplies and best off all it is 100% tax deductible. In the meantime, why not check out the large range of major brand copiers & printers available for rental or lease. Call now on (03) 9793 7773 or email us for a quote and start saving money today! Why rent or lease copiers or printers? No major capital investment / outlay. Rental payments may be viewed as 100% tax deductible. Ability to incorporate all costs of a Technology Environment. Flexibility to acquire the use of more equipment as needs arise. Rental payments are viewed as an operating expense. Improved management of the Technology Environment and the associated costs. If you are interested in renting or leasing a copier or printer and would like to proceed, then we will require you to complete an application form, Then once approved, we will deliver and install the equipment within 2 working days. If you have any further questions regarding our photocopier and printer rental / leasing solutions, then please call Bill Triafylos on (03) 9773 7773 or 0418 561 100.